Driving into a neighborhood on a beautiful blue-sky day with the windows down you may smell freshly cut grass, feel the gentle breeze, and see attractive, well-maintained homes as well as friendly neighbors waving “hello.” This may be your expectation of the perfect neighborhood. But even if you experience what you hope for on the day you visit a real estate listing for sale, it is wise to understand, research and follow up on additional variables that make the neighborhood either a good fit or bad match for your overall happiness and long-term best interests. With the purchase of a new home, you are buying more than a house. You are buying the lifestyle that comes with the neighborhood you choose. Multiple neighborhood factors deserve attention before you select a specific home. Do your homework and you increase your odds of making smart choices. Cut corners and you are setting yourself up for costly mistakes. Without the rest of the puzzle pieces clearly defined, finding your perfect neighborhood, and ultimately your perfect home, becomes a random series of property searches that likely wastes both your time and money. Lifestyle goals –Do you prefer close and convenient proximity to work, recreation, shopping, schools and dining or are you are willing to drive a little further? Do you prefer an active urban lifestyle or suburban lifestyle that offers more privacy and wide-open spaces? Do you want low maintenance or do you enjoy completing projects around the house? Home features – Think about the kitchen, flooring, stairs, number of bedrooms and bathrooms. Is a spectacular view or fenced yard important to you? Do you prefer new construction or are you okay with a property someone else has lived in? Make a list of the important features of a home and prioritize into “Must Have,” “Nice to Have,” and “Unacceptable” categories. 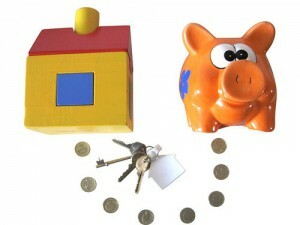 Financial goals and resources – Buying a home is a big purchase and a big decision. More than just the price of the home, the cost of mortgage interest as well as various responsibilities of homeownership such as taxes, maintenance and repairs, must all be carefully considered. In turn, the investment potential for value appreciation should also weighed into your analysis. Below are 12 criteria to include in your home buying priority list. Reviewing each and determining which have the greatest significance to you will allow you to narrow your search, and gain the peace of mind in knowing that when you come across the “perfect home,” it will be a neighborhood that meets your lifestyle goals as well. We are often drawn to particular people by their looks – but developing a deep, mutually beneficial relationship usually goes well beyond appearances. A good match is often more about personality, the way someone acts and reacts, what they do with their time and how they do it, the things they enjoy and dislike, as well as their priorities, goals and aspirations. In the same way, a neighborhood has a personality, and once you transition from being a home buyer to a homeowner, the neighborhood’s personality directly impacts your lifestyle. Experiencing that personality means going to the neighborhood park, golf course, pool or community center to view or participate in the activities and evaluate the resources and amenities. Eat in the restaurants, shop in the stores, drive and walk through the streets. When you visit, you will notice the friendly wave of residents walking their dogs or working in a nicely maintained yard. Understanding a neighborhood’s personality is a critical step in making a smart home buying decision. Is the terrain hilly or flat – for walking, running or cycling? Are there sidewalks and street lights? Is the architecture and home designs to your liking? Is the property on city water and sewer or well water and septic? In addition, the upkeep of the neighborhood will significantly impact your home’s resale value, as well as how you feel about your surroundings. If you are looking in a particular price range, be sure to draw comparisons from neighborhood to neighborhood. Some neighborhoods with a homeowners association (HOA) have firm building codes as to the size, architectural attributes and yard upkeep, making the homes more similar in style and appearance. Communities without an HOA may be more charming in the variety of homes and architecture, yet may have more risk in terms of how your neighbors maintain their property. Other HOA factors may include regulations for storage of additional vehicles such as boats and RV’s, as well various onsite improvements to your property. Annual HOA fees and special assessments must also be carefully reviewed. Our knowledable agents can help you evaluate the pros and cons of your short-list. Children, if you have them, or plan on starting a family, obviously play a big part in your home buying decision. Some public schools can be highly rated and others can fall short of what you expect. If you prefer to send your children to a private school, access to that school may be a determining factor in where you live. Whether public or private, the proximity and quality of a neighborhood’s schools can make a difference in your lifestyle, as well as the resale value of the home. Most people enjoy some form of recreation, whether at a gym, participating in outdoor sports or exploring a hike-and-bike trail. When recreation is a key priority for you, observe what amenities are readily available in a particular neighborhood. Walking, running, biking, golf, swimming and tennis are a few activities in which many people participate. If these amenities are noted in the neighborhood description and you intend to pursue them, be sure to evaluate whether or not the facilities are in good condition. Is there more than one tennis court if you play regularly? How close are you to the beach? Does the nearest beach have public access and ample parking? Is parking at the local beach complimentary or is there a fee? In addition to your needs, consider your children as well. Are the streets flat enough or is there an area where your child can learn to ride a bike or engage in biking if it is a favorite pastime? Is there a community park where they can enjoy outdoor activity while meeting other neighborhood children? Does the park have shade for you? Obviously, you may have your own pool or backyard playscape for your children so you may not need these, but be sure to include it on your priority list if it’s important. Eating out can be fun, and is often necessary with today’s busy lifestyles. When you choose your new home, your need for nearby restaurants will depend on your routine. Picking up food near the office on the way home from work can be a viable option, but it’s also nice to take your spouse, family or visitors for a good meal at a local eatery. Do your research on the types of restaurants that are close by. Do they suit your lifestyle? It may be that there are only chain restaurants and you prefer dining at a neighborhood treasure known for its signature dishes or uniquely fresh food. Alternatively, it could be the opposite and you enjoy a Starbucks coffee, a McDonald’s breakfast or an Italian feast at the Olive Garden on a regular basis. Convenience and quality may be considered equal when you need an onion for your stew or an excellent bottle of wine. When setting your priorities for which neighborhood you choose, be sure to visit or at least make note of the grocery stores, the dry cleaners and other businesses that offer the products and services that you make use of on a regular basis. Observe whether your favorite chain of grocery, convenience store or gas station is in the vicinity, and if not, visit the existing store or service in the area. Enjoying your lifestyle may mean venturing out for a movie or live music and possibly dancing. Austin, well known for its live music, offers venues all over town. Indoor and outdoor locations provide live entertainment ranging from country music to contemporary hip-hop. A neighborhood nearby to outdoor live music may not be as appealing to some, especially with the increased traffic concern, but others may enjoy the free concert. Explore this and other potential entertainment options, including movie theaters. 8. Overall Proximity Preferences: How close do you want to be? While location is touted as the most important aspect of choosing a home or neighborhood, individuals have their own perception of location and what is imperative. The school district will determine certain aspects of a location, but often there are several neighborhoods to decide on from within an Independent School District. If school is not high on your priority list, other factors may be its proximity to downtown or the airport, work, family or medical facilities. Would you want to stay in that neighborhood if your job moved you farther out? Shopping and dining preferences may also play a factor in the location of the neighborhood. In our modern world of nearly every household possessing one, two or three cars, the condition of the roads and their capacity to handle the traffic make an impact. We can help answer your questions about traffic patterns during our time together. Public transportation is available in some parts of New Hanover and Brunswick Counties. Biking in cities like Southport and downtown New Bern & Southport is an easy way to get around. A low crime rate, low incidence of accidents, and how well neighbors watch out for each other defines a community as being safe. Neighborhood Watch plans, a crime prevention program that stresses education and common sense in crime prevention exist all over Austin. Even a community that does not have such a plan in place may employ other methods to stop crime. A gated community offers an additional assurance of safety and is an amenity to consider when choosing a neighborhood. Whether you or a household member needs frequent care, an occasional check-up or emergency care, it’s reaffirming to know that you can access quality care in the neighborhood. Knowing that there is a nearby dermatologist for your teenage daughter or an emergency clinic for your accident-prone son may help determine the neighborhood you choose. You may also desire a dentist, orthodontist, optometrist or chiropractor close enough for easy appointments. For retirees if staying plugged into work is important find out if there are social needs that your expertise can be used to promote, such as tutoring, Habitat for Humanity programs, local food pantries or other things that will keep motivated and having fun. The cultural amenities of a neighborhood itself may be limited, but having venues and institutions nearby that educate, uplift and inspire is a valuable convenience. Whether you enjoy live performances of the symphony or an excellent play or musical at the local theater, can impact your list of options. In the same vein of culture are science, history and art museums, as well as libraries and houses of worship. For your priority list, it’s important to note which specific cultural amenities you wish to pursue, and map them out as to where they are in relationship to the neighborhoods you are considering. Many community colleges offer year-around cultural events. When searching for the perfect neighborhood, keep track of your comparisons so you can evaluate the volume of material more clearly. It’s exhausting to view several areas and nearly impossible to remember the features of each at the end of the day. Also, priorities can change. If you initially established that a golf course community was what you wanted, yet the only location you found in your price range was unacceptable for other reasons, maybe another home with a golf club less than five miles away will be appealing. In other words, first defining, and then adjusting priorities as you search the market is the key to finding the perfect house in the perfect neighborhood. Begin your search here and contact us for personalized support in finding the best neighborhood and price. In most parts of the country, winter is a slower time for real estate sales. 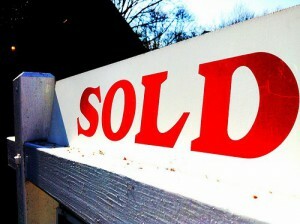 Buyers hibernate, inventory shrinks, and sales languish. Selling a home in winter can be a bit more challenging, but don’t panic. With a few winter-specific selling tips in your pocket, you’ll be able to put the best face on any winter listing. Tip #1: Display the year-round beauty of your listing. 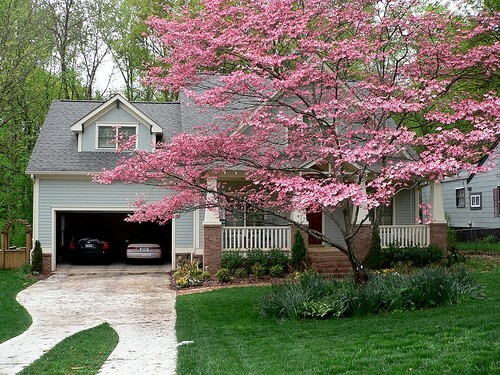 Include photos of your listing at prettier times of the year. Landscaping typically doesn’t look its best during the winter months. Lawns are brown, trees are bare, and shrubs are shriveled. Give buyers a sense of the year-round beauty of your listing. Display spring, summer and fall photos of your listing along with your open house marketing materials. Would-be buyers won’t want to see the inside of your home if the outside isn’t appealing. So sellers need to make sure their property projects a warm and inviting feeling. So repaint the front door, trim hedges, blow the leaves and plant some winter flowers for added curb appeal. Tip #2: “Warm and cozy” is key. Turn on the heat, and use throws and area rugs to instantly warm a room. Stepping from the winter chill into a warm, snug home will result in sighs of relief. Stepping into a drafty, unheated space will result in sighs of annoyance. Set the thermostat to a comfortable level (between 65 and 70 degrees Fahrenheit). 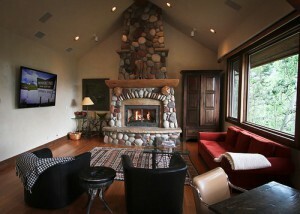 Don’t start a fire (for safety reasons), but do highlight a functional fireplace. Open shades and blinds to let in natural light and warmth. Seal window and door cracks. Add snuggly throws to seating areas. Tip #3: Let it shine. With the days growing shorter, sellers need to be mindful of keeping their home well-lit even when they aren’t present. Lights on timers are ideal for homes that are empty or for the early evening hours when the seller may not be at home. Make it as light as possible so that it is engaging and inviting drawing in prospective buyers. Tip #4: Remember that lending will still be tight this winter. Tight lending standards will limit the buyer pool. Most industry experts agree that conventional lending standards will remain tight over the winter. The average conventional purchaser maintained a FICO score of 762, and a loan-to-value (LTV) ratio of 79 percent in September, 2012. Those impressive figures indicate that less-perfect borrowers will have a hard time obtaining conventional financing. FHA and VA loan programs continue to operate under flexible credit standards, but can’t be utilized for all property purchases. Tip #5: Use a smaller inventory to your advantage. Thinner inventory could work in your favor. Inventory often shrinks during the winter. With fewer houses on the market, it’s easier to give your listing a comparative advantage. Review comps and make a list of your home’s unbeatable features. Is your house the only one in its price range with a fireplace? Is your listing the only home available within a preferred school district? Unique features can be tough for buyers to notice on their own, so don’t be hesitant to boast your listing’s greatness. Those distinct advantages could make the difference between a winter sale and a winter slump. We look forward to working with our owners in 2015. Stay warm this winter!